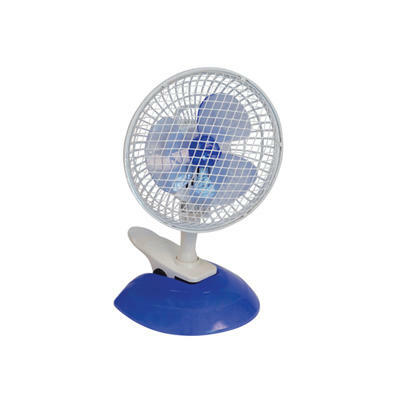 This handy 6" (15 cm) Desk Fan has two speed settings and an adjustable head/body so you can choose the perfect position for maximum comfort and airflow. The cleverly-designed desk fan also gives you the option of using the standard base or supplied clip base, for totally flexible positioning and a built-in carry handle for easy portability. It is ideal for use all around the home including the bedroom, home office or kitchen and is also well suited to small offices or other places of work.